Brands available: Medela, Baby Spectra and Evenflo. A and Z Medical Supplies is proud to support the breast pump insurance benefit of the Affordable Care Act. You are eligible to receive a breast pump at no charge through your insurance* from leading manufacturers shown below. 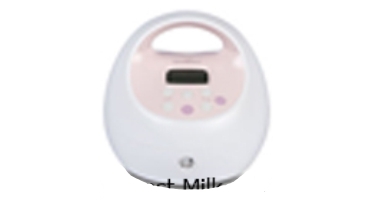 *The type of breast pump available to you depends upon your insurance coverage. We are contracted with most insurance plans. 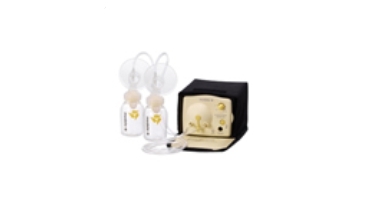 Compact motor unit in a soft bag – fits perfectly into a Breastpump Bag (sold separately) for a complete portable solution. One-touch let-down button lets mom toggle between Stimulation and Expression Phases for more efficient pumping sessions. Spectra S2 Plus Hospital strength motor unit. Double Milk Collection System includes: 2-24mm and 2-28mm breast flanges, 2 wide neck milk collection bottles with locking rings and discs, 2 valves, 2 sets of tubing and 2 backflow protectors. Weight – less than 4lbs. Why Your Liquid Gold is So Precious. As you prepare to welcome your new baby into the world you are likely developing a feeding plan. 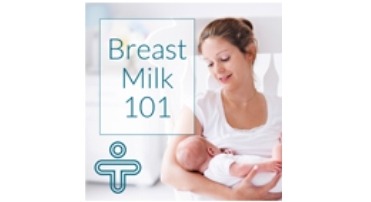 Whether you plan to exclusively nurse, exclusively pump, uniquely combine the two efforts, or introduce formula, we wanted to offer you a basic overview of breast milk and why it’s worth the effort to get this liquid gold to your precious darling—if you can. Always remember, our blog posts are intended to give you information without opinion or judgment, to help you form your best decisions for your baby and your body. First of all, remember that every woman’s body is unique and your experience feeding your child will be as distinctive and personal as your pregnancy has been. There is no point to compare yourself to other mothers and no payout for competing. Our advice is to do your personal best and be kind to yourself and patient as you experiment to find the feeding routine that works and is sustainable for you and baby. Here’s the basic biology, or as we like to call it: Breast Milk 101. Breast Pumps Are Now Covered Under Your Insurance. How the Affordable Car Act works for Pumping Mamas. Here are the simple facts about breast pump coverage under the Affordable Care Act. Under the Affordable Care Act a breast pump is fully covered under health insurance plans. The federal legislation makes special allowances for the unique costs of female healthcare, with maternity care receiving much emphasis and breastfeeding needs finding address with the CDC’s pronouncement of breastfeeding among the top preventative efforts a mother can do for herself and her child.